Here at NerdBliss, I strive to maintain a spoiler free environment. Sweet visuals. Cool music. Not much plot. As I’ve been told, the original movie is much the same. I’ve not seen it. Blame Netflix for not streaming it. Or the fact I’m too young to have seen it when it came out in 1982. Either way, Legacy was my firHere at NerdBliss, I strive to maintain a spoiler free environment. I loved the look of the movie. The elder Flynn’s place in the digital world, as pictured above, especially excited my minimalist side. The table and chandelier are drool worthy. 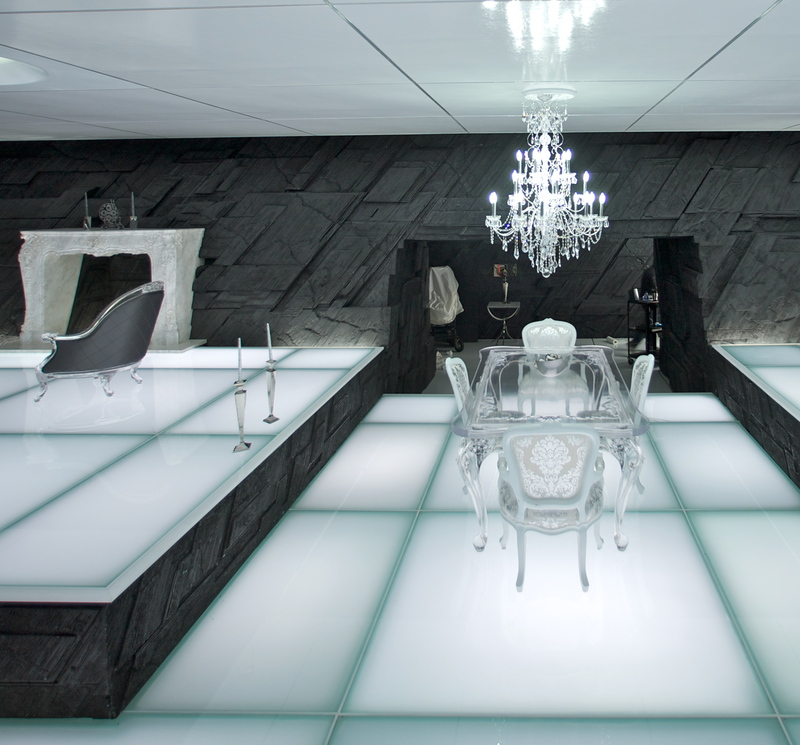 Every set is visually stunning. All the action looks so darn slick. Exactly how it should for the story. The music is seamlessly joined with the visuals. The soundtrack by Daft Punk goes a long way towards evangelizing on behalf of House and electronic music. I’m learning to enjoy the genera thanks to Chris and his diverse musical taste. The movie was like a feature length, 3D music video. I don’t mean that in a bad way. In defense of the film, I will say I tend not to go for action based movies. I’m sort of into more intellectual and more talking in my movies, less racing and things blowing up. It’s not a defect in the movie, but a poor match for my taste. I can also report Chris found it lived up to his expectations, but did not exceed them. Not high praise, but still worthwhile for fans of the original movie, fans of Daft Punk, and fans of slick action movies.